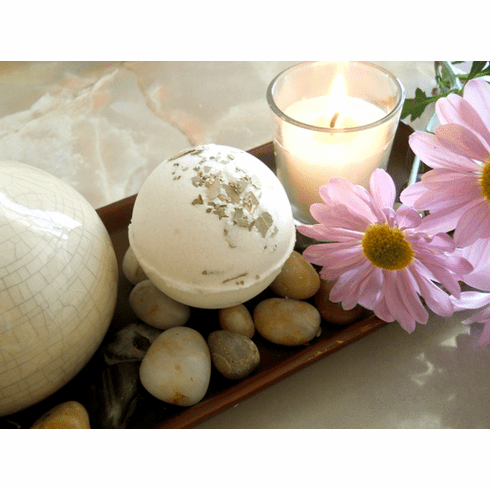 This fizzing bath bomb is infused with eucalyptus essential oil and eucalyptus leaves. Great for aromatherapy or instant relief for tired, achy muscles or sinus problems. Made with shea butter, avocado butter, goat milk, and clay.